Time to sell your Windward condo? Read about today's resort-market condo buyer. 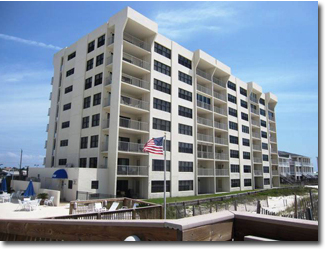 Windward condominium in Perdido Key, Florida is located in the western portion of Perdido Key. The condos in Windward are just a few miles from the Alabama state line and all of Orange Beach, Alabama's area attractions, like the amphitheater at the Wharf and a few miles further from the Gulf Shores Hangout, Lulu's, and many other local attractions. Windward is approximately 30 minutes from the regional airport in Pensacola and minor league sports venues, such as the Pensacola Ice Flyers hockey team and the Blue Wahoo's minor league baseball team, a Cincinnati Reds organization. Pensacola, as one would expect, also features a wide range of restaurants, seafood markets and shopping and entertainment venues. Windward condos are all direct Gulf-front condos on the Gulf of Mexico. Please let us know if you would like further info for Windward or any other condos, homes, or real estate along the Gulf Coast or would like to schedule a private viewing by emailing info@condoinvestment.com or by calling 251-Area-Pro (251-273-2776) for immediate assistance.